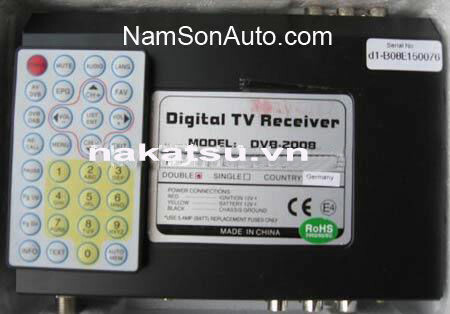 Đầu thu TV kỹ thuật số DVB-2008Features:1. Cooperate with DAT-200, the soft and amplifying special antenna, can be directly attached on the in-car window glass, convenient for mounting and using.2. 4 AV output, can supply to 4 displayers synchronously.3. The terminal of antenna output +5V for the amplifier on the antenna, and has short current protection alarming feature.4. Easy for installation, apply for all kinds of cars.5. 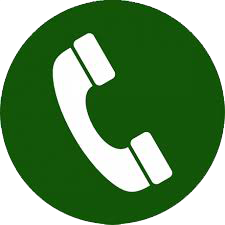 Apply to the areas which DVB-T digital TV broadcasting signal is covering.6. Considering the requirements of vibration, temperature, and power shock durability for designing.7. Built-in digital regulating receiver, no snowflake, ghost image, distortion, and color change will appear.8. Digital AV miscoding auto-modify processing, enhance the receiving performance in low S/N area.9. Supply aspect ratio 4:3, 4:3 Full, 16:9, 16:9 Wide, can easily switching.10.Can receive digital TV program of standard quality SDTV. Image more clear, and color more full and colorful.11. Suitable for general in-car TV. AV terminal can connect to CRT, LCD and PDP.12. Electronic Program (EPG) function, can preview program list.13. Adapt to car, taxi, bus, travel car, leisure car, etc., acting as motoring receiver.15. With high sound quality, stereo output; 24 bits digital sampling processing, the fine sound can compete with laser displayer.16. With low distortion, the fine image can compete with digital DVD.17. Equipped with DC +12V~DC+24V power system. In generally, the power of cigarette lighter or +12V~ +24V are suitable.18. One optional AV input terminal, can connect with outer VCD, DVD, etc. AV devices.19. Provide optional remote control extension line, can extend the remote control receiver into the car for installation.